Jana's Genealogy and Family History Blog: Celebrating My 4th Blogiversary ~ What An Amazing Four Years It's Been! 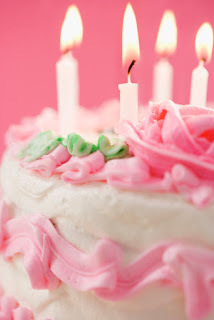 Celebrating My 4th Blogiversary ~ What An Amazing Four Years It's Been! Wow! It's already been four years since I started this blog. Seriously, time has just flown by. So many amazing things have happened since I pushed the publish button on my first blog post four years ago. Blogging has enriched my life in so many ways and has provided me with many wonderful and exciting opportunities. I created my first blog book using Blurb.com and on April 14, 2015 I shared my excitement about receiving my blog book in the mail in my post My Blog Book is Here! I decided to create a website using Weebly.com. It's basically a site to share the many places I can be found online. I wrote about it in my post My New Website. On Saturday, May 16, 2015, I taught a class at our local "Discover Your Family Day." I wrote about that in my post My "Family History Blogs and Social Media" Class. I've also taught that class at two other Family Discovery Day events and I'm scheduled to teach it at the Fresno Genealogical Society monthly meeting in June. In May of 2015 I received an email inviting me to be an official blogger for the BYU Conference on Family History & Genealogy, which was held July 28-31, 2015. That was such a delightful surprise. What an honor to be invited to this event. I wrote about it in my post Official Conference Blogger ~ 2015 BYU Conference on Family History & Genealogy. In the fall of last year, I received another exciting email. This time it was congratulating me on the fact that I was selected to be a RootsTech 2016 Ambassador. What an honor! 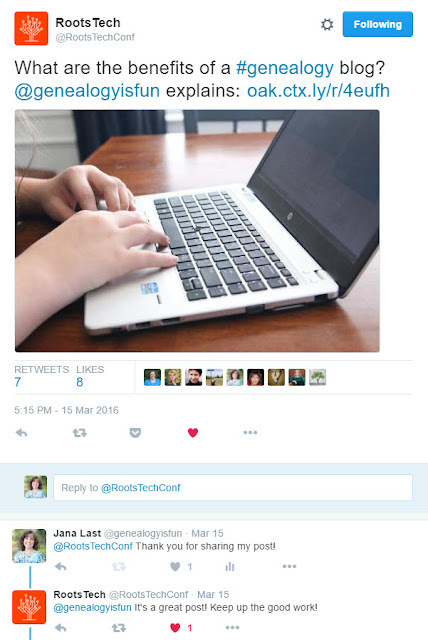 On September 17, 2015, I wrote about it in this post RootsTech 2016, Here I Come...As an Ambassador! I've met so many wonderful people in the genealogy community both online and in person. 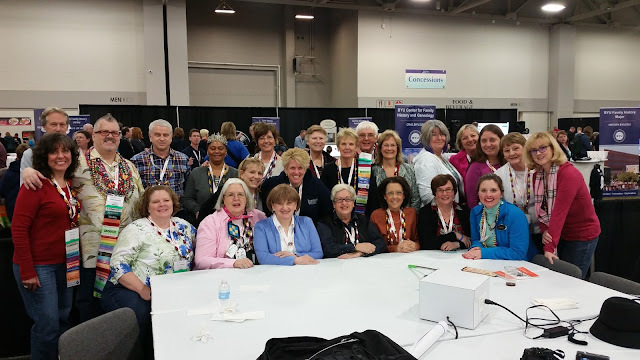 Attending the BYU Conference on Family History & Genealogy and RootsTech 2016 gave me the opportunity to finally meet genealogy friends that I had only known online. 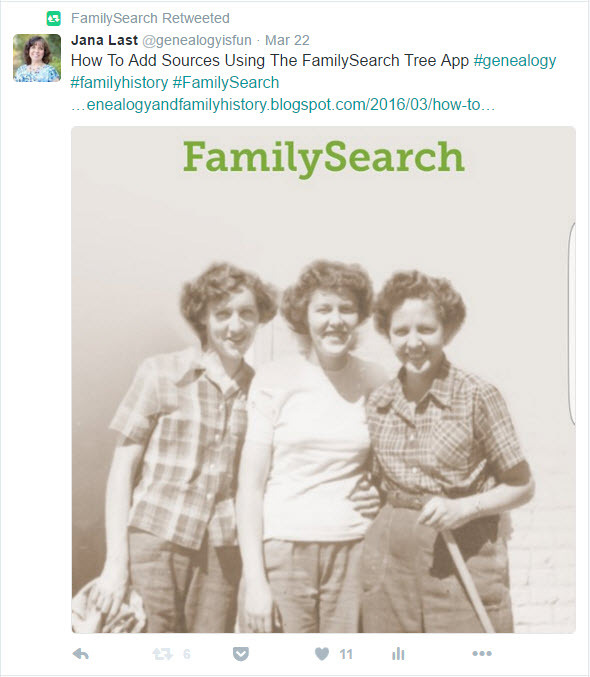 I was thrilled and honored that RootsTech and FamilySearch shared a couple of my blog posts on Twitter. So cool! I was especially flattered by the very nice compliment by RootsTech at the bottom of the tweet above. 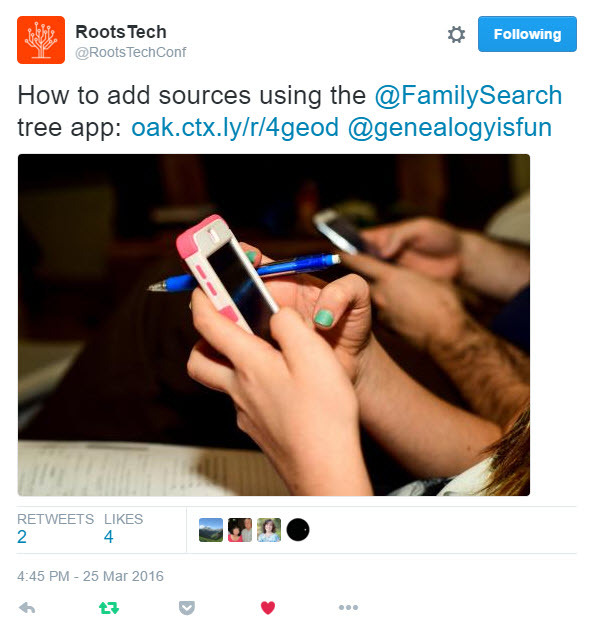 I was flattered and excited that one of my RootsTech tweets was included in the article RootsTech 2016 Recap: Tweets Tell the Story of this Amazing Family History Event. 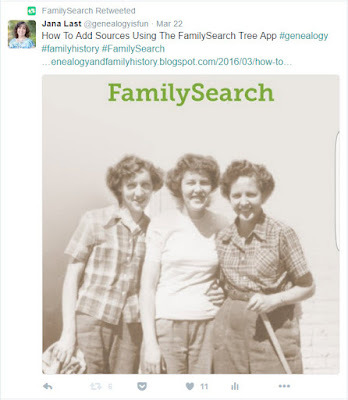 This article appeared on the FamilySearch Blog on February 12, 2016. The other day my husband got a text from a friend telling him that he saw me in the World Report between General Conference sessions. We were watching General Conference on BYUtv and missed the April 2016 World Report. Thank you Eric for the heads up! In the World Report, there was a segment about RootsTech beginning at the 38:30 mark in the video. I can be seen sitting in the Media Hub inside the Expo Hall. Thank you to my husband and family for supporting me as I share my family history through blogging. Thank you to my wonderful readers, for taking the time to read my posts, liking and sharing my posts on various social media platforms, and for leaving comments. I appreciate all of you! Happy 4th Blogiversary! I'm sure your next four years will be as rewarding as the first four have been. As one of your followers/readers I look forward to your future posts, great job Jana!! Jana, Happy 4th blogiversary. I was glad to meet you and say hello at RootsTech. I've followed your blog for some time and enjoy your posts. Keep having fun! Thank you so much Linda! It was great to meet you at RootsTech! Four years! What a great accomplishment, Jana. Happy Blogiversary to you! Here's to many more years of wonderful blogging. Wishing you a happy 4th blogiversary and many, many more! I always enjoy your posts and look forward to many more. Happy Blogiversary Jana! I enjoy reading your blog and hope to do so for many years to come. Such an amazing four years. Congratulations! Happy 4th Jana. I always enjoy reading your blog! Happy blogiversary! You truly have had an amazing 4 years with more to come I am sure! It was fun to meet you at Rootstech!! Thank you so much Michelle! It was great meeting you at RootsTech! Happy Blogiversary! That is quite a milestone and thanks for your updates from Rootstech! Here's wishing you a belated happy blogiversary! Keep up the good work! Congratulations on a memorable year, Jana! Looking forward to another great one ahead! Congratulations on four years, Jana. You have been a very busy lady, doing such good work. I wish you many more years of family history and blogging fun.